In the early hours of December 13, as I was leaving San Borja in Lima, the venue of the 20th Conference of the Parties (COP) of the UN Framework Convention on Climate Change (UNFCCC), the negotiators from 195 countries had just been handed over a draft text from the co-chairs for consideration. Twenty-four hours later, by the time my flight landed in Amsterdam, the deal was done and the final text was out. The text, titled Lima Call to Climate Action, this time was from the president of the COP. In the last 24 hours of the Lima talks, co-chairs were sidelined, their draft decision was rejected, and the COP president Manuel Pulgar-Vidal, who is also Peru’s environment minister, was asked by the Parties to prepare a new text, taking into consideration the views of different groups of countries. Ultimately, the Parties accepted the text proposed by the president. In between the presentation of the two texts—one by the co-chairs and the other by the COP president—both developed and developing countries made compromises. They always do. But the question is who benefited and who lost from these compromises? Will these compromises help achieve an effective climate deal in Paris in 2015? For the sake of clarity, Lima Call to Climate Action does not promise any new commitment from the Parties either on emissions cuts or on finance and technology transfer. It is nothing more than a template for the Parties to continue their negotiations at Paris, where a new global deal on climate change is to be signed to replace the existing Kyoto Protocol from 2020. From day one of the Lima talks, the fight was on Intended Nationally Determined Contributions (INDCs)—climate action plans that countries have agreed to submit before the Paris meeting. Lima COP was to finalise the kind of information that Parties should submit on INDCs so that their contributions could be compared and evaluated. The fight was on what all will go into the information and how the information would be used. (See ‘The Lima diary’) Developed countries insisted that INDCs were only about emissions cuts, or mitigation. Developing countries, on the other hand, wanted INDCs to include actions they would take in adapting to the changing climate as well as finance and technology support they would need from developed countries to undertake mitigation and adaptation. Developing countries also wanted the Lima text to reflect their desire to have strong commitments on “loss and damage” in Paris. At the 19th Climate Conference in Warsaw in 2013, Parties had agreed to establish an international mechanism for “loss and damage” to help vulnerable developing countries cope with impacts of climate change, such as extreme weather events. However, as per the Warsaw decisions, the discussion is scheduled to take place in 2016, a year after the Paris agreement. Developing countries, mainly the least developed and small island nations, however, want stronger commitments, especially financial, in Paris for loss and damage. They did not want this decision to be left for 2016 and, therefore, wanted the Lima text to reflect this. This fight over what would go into INDCs took an ugly turn and almost derailed the talks in Lima. Developing countries accused the co-chairs—Artur Runge-Metzger from Germany and Kishan Kumarsingh from Trinidad and Tobago—of partisanship and doing the bidding of the developed countries, especially the members of the European Union. There were other issues in INDCs as well. The vexing issue was related to the ex-ante review of INDCs. The EU had proposed that well before the Paris COP, countries should submit their INDCs, which should be formally reviewed for equity and ambition. It also wanted a review of how all INDCs add up to meet the goal of limiting global warming to less than 2oC. In the beginning of the second week itself, India made it clear that it did not want any review of INDCs as it feared that such a review would be an unnecessary intrusion into its “national sovereignty”. In simple terms, India considers INDCs as domestic pledges and does not want anyone to say whether its pledges are equitable or ambitious or not. India was supported by the Like Minded Developing Countries (LMDC)—a group that includes developing countries as varied as Bolivia, Saudi Arabia and China. The US also desired such a position. So none of the big polluters, except the EU, had any interest in the ex-ante review of INDCs. To partly meet the demand of developing countries, the Lima text includes adaptation and loss and damage. For instance, it affirms (not decides) that the Parties will strengthen adaptation action under the Paris agreement in 2015. The text also recalls and welcomes the progress made in Lima on Warsaw International Mechanism for Loss and Damage, but makes no other commitments. Major compromises were, however, made on INDCs. INDCs remain primarily about mitigation but countries have the option to include adaptation component. The final text does not mention finance or technology transfer in relation to INDCs. There has been a major dilution of the provision of information that Parties will submit on INDCs. In the text proposed by the co-chairs, it was a decision paragraph. It stated that the Parties shall provide a certain set of information on their INDCs that will allow clarity, transparency and understanding as well justify how their INDCs are fair and ambitious in light of their national circumstances. In final text, however, it has been converted into an agreement paragraph. That is, Parties, instead of deciding, will now only agree on what information to submit. The list of information to be submitted, though remains the same as the text of the co-chairs, has been made optional. Instead of “shall” it has become “may include”. This gives option to Parties to submit information of INDCs as they think appropriate. For instance, some may think it is inappropriate to justify their INDCs for fairness or ambition, while the others may not. Parties can now communicate their INDCs by October 1, 2015. Earlier there was a proposal for Parties to submit their contributions latest by May/June 2015 so that it could be analysed and reviewed by all. There is no ex-ante review of INDCs; not even a non-intrusive and facilitative dialogue, as proposed by the co-chairs, for clarity, transparency and understanding of the contributions of different Parties. However, all the INDCs will be published on UNFCCC website and a synthesis report will be prepared by November 1, 2015, on the aggregate effect of INDCs communicated by all Parties. The text produced by the co-chairs did not mention Common but Differentiated Responsibilities (CBDR), which puts the obligation to reduce current emissions on developed countries on the basis that they are historically responsible for the current levels of greenhouse gases. The final text contains an explicit commitment for an ambitious agreement in 2015 that reflects the principle of CBDR but weakens it by adding “in light of different national circumstances”. Todd Stern, lead US climate negotiator, has gone on record to say that he and Xie Zhenhua, Chinese chief negotiator, had thrashed out this deal on CBDR on the last night in Peru. They took the line—CBDR, in light of different national circumstances—from the recent US-China climate pact and inserted it into the final Lima text. Countries like India have claimed satisfaction over the inclusion of CBDR in the final text. But its linking with national circumstances will have far reaching implications for developing countries. For one, they will not be able to demand strong emissions cuts from developed countries nor demand finance and technology support from them. The inability of the US Senate to pass an ambitious climate deal can now be justified as “national circumstances”. The EU can use recession as an excuse when its commitment on finance or technology transfer will come up for negotiation. Developed countries managed to evade a stronger decision on the issue of increasing their emissions cut ambition from now till 2020, both in the texts of co-chairs and COP president. They avoided any decision on providing means of implementation, including technology, finance and capacity building support for developing countries so that they too could increase their mitigation ambitions from now till 2020. So, now it is up to Paris to decide whether the world will do more to cut emissions between 2016 and 2020, or remain content with the highly inadequate pledges of developed countries. One must keep in mind that developed countries made no commitment on finance and technology transfer for the post-2020 period either. It is clear that developing countries got some choice words, but no money or technology from the developed countries. The big polluters among the developing countries managed to avoid any serious commitment to reduce emissions by diluting the INDCs. Developed countries, however, gained substantially. They made no commitments to reduce emissions in the pre-2020 period more than what they have already committed (and they have committed very little), nor did they promise money and technology to help developing countries to increase their mitigation commitments during the period. With weak provisions on INDCs, they managed to avoid mitigation as well as financial commitments for the post-2020 period. It is important to understand that one of the success criteria for the Lima COP was how much money developed countries would put on the table for the Green Climate Fund—a fund set up to support mitigation and adaptation in developing countries. By the time the marathon talks finished in Lima, developed countries had pledged only $10 billion as climate finance for developing countries for the next four years. The ridiculousness of the number can be gauged from the fact that if $2 were levied as a tax on every international flight ticket, it would generate $2.5 billion a year. The biggest win for developed countries was that they managed to dilute and compromise the principle of CBDR, the cornerstone of climate negotiation. But in this win, the planet has lost big time. Christiana Figueres, Executive Secretary of UNFCCC, described the new definition of CBDR as an “important breakthrough”. “It’s very clear that from now on when you speak about the responsibility and capacity of countries to address climate change there will be a third point, national circumstances, that need to be included.” This statement of Figueres is the most important outcome of the Lima COP. Developed countries managed to dilute the differentiation between them and the developing countries further by linking CBDR with national circumstances, and thereby reinterpreting the Convention. 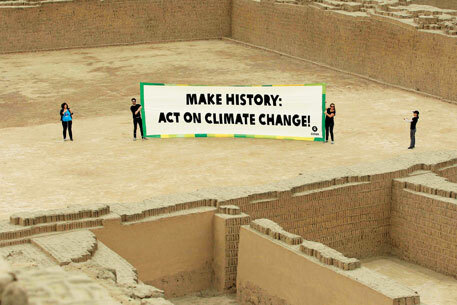 Under UNFCCC, actions that countries would take on addressing climate change are based on equity and CBDR. They, in turn, are based on the responsibility of a country in causing climate change and its capability in solving it. By bringing national circumstances in the equation, developed countries have put themselves at the same level as developing countries. Developing countries had so far used “national circumstances”—such as poverty reduction and achieving certain level of development—not to take absolute emissions reduction targets. Developed countries can now use similar arguments—high level of mitigation costs, recession and low growth rate—to justify their inaction. Now, no country will take ambitious action and the world collectively will fail to meet the climate goals. Similarly, INDCs have been so compromised in Lima that an effective deal in Paris is now nearly impossible. Under the Lima formulation, every country will now decide what it wants to do to reduce its emissions and adapt to climate change impacts. As their actions will now reflect “national circumstances”, they will not compulsorily be asked to explain how their efforts are fair and ambitious; if they want they can explain on their own volition. They will also not face any rigorous assessment process ahead of the Paris summit. No questions asked, none answered is the final decision from Lima. But this final decision has left the world with a fait accompli. Just before the Paris COP, when it would become clear to everyone that the INDCs of countries are a big let down and are not adding up, there would be nothing that the Parties could do to rectify the situation in Paris as there will be neither time nor any process to jack up the ambition of countries. Paris will become a lame duck COP. India, which played a key role in dilution of INDCs and went along with China and the US in reinterpreting CBDR, has lost big time. The reinterpretation of the principle of CBDR means that the burden of tackling climate change will decisively shift to developing countries like India, making their efforts towards poverty reduction and sustainable development difficult and expensive. The weak INDCs, with no promise of finance or technology from developed countries, means that India should now be ready for a much weaker climate agreement, which will augur ill for the country in many ways. Firstly, the world will continue on its trajectory of 4oC warming leading to increase in extreme weather events like extreme rainfalls as India witnessed in Uttrarakhand, Jammu and Kashmir and Meghalaya in the past two years. Monsoon will become more unpredictable, affecting agriculture and livelihoods of more than half of the Indian population, especially marginal farmers (see ‘Mapping climate change in India’ on p35). The worsening climate will create new poverty traps and make poverty eradication more difficult. In fact, India will start losing developmental gains due to climate change. Secondly, by 2030, big polluters in the world would have appropriated most of the available carbon space, leaving nothing for most developing countries, including India. A weak climate deal in Paris means that in 2030, the US and China will have per capita emissions of 12 tonnes—four times more than that of India. After 2030, countries like India will be asked to go to an emergency emission reduction plan which will be highly detrimental to the economic development of the nation. 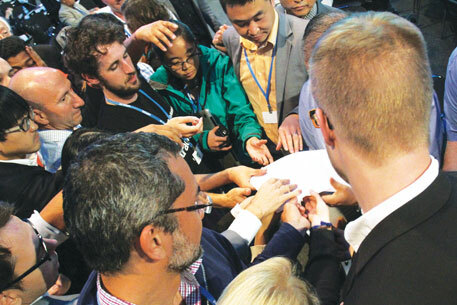 COP20 has further widened the trust gap between the developed and developing countries. The Lima agreement only postpones the inevitable: big fight next year in the run up to the Paris meeting and eventually a weak Paris deal risking the lives and livelihood of billions of poor people across the world. Lima has resulted in a biased deal as rich countries shrugged off historical responsibility for climate change The Lima climate talks began on December 1 on a positive note. 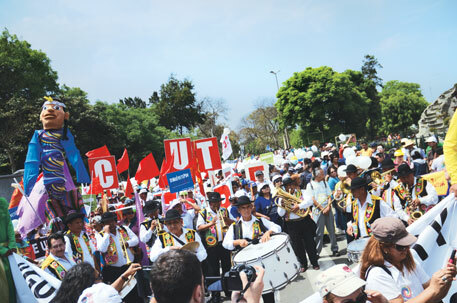 In his opening speech, COP President Manuel Pulgar-Vidal said he wanted the summit to provide "a clear and solid foundation for the new global agreement". But the optimism faded away when negotiations over the new climate treaty that will replace the existing Kyoto Protocol from 2020 began. The negotiations are held under the Ad Hoc Working Group on the Durban Platform for Enhanced Action (ADP) where its contact groups hold discussion. 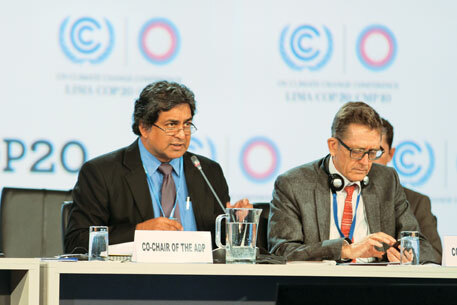 At Lima, the documents under discussion included a "draft text", which included elements relating to the 2015 Paris agreement, the intended nationally determined contributions (INDC), which would be countries' actions to curb climate change, the pre-2020 climate actions till a new agreement is in place; and a "non-paper" on "elements for a draft negotiating text". The Parties, however, disagreed over the working method of the contact groups. Countries, including Bolivia, China and India, demanded that the texts be displayed on a screen "as a simple and fair" working method. The African group remarked that such methods only erode trust. It took the co-chairs two long days to put up the texts on screen. The finance sessions of ADP saw more resistance when developing countries pointed out that the draft text and the non-paper did not address the issue of "adequacy" of funds. CBDR, or common but differentiated responsibility, was the other point of disagreement. The rich countries were bent on diluting CBDR, as drafted under UNFCCC in 1992, which recognises their historical responsibility to address climate change and gives concession to developing countries. With no comprise in sight, the negotiation on "non-paper" was stopped. The negotiators focussed on finalising the "draft text". The last days of the summit were marked by confusion and revision of texts. At the high-level ministerial meeting on December 10, the divide between developed and developing countries was clearer than ever as countries refused to budge from their stated positions. The next day, ADPco-chair Arthur Runge-Metzge asked how the Parties intended to take the negotiation forward, as their was no breakthrough in sight. G-77 and China replied that "they were working on a proposal which needed time". The session was suspended while Parties and observers waited for the proposal. There was a rumour that a "secret" draft text, rigged in favour of developed countries, got leaked on the official website and was removed. This triggered accusations and counter-accusations. There was no official confirmation about the leaked text. When the contact group re-convened later that day, the proposal drafted by G-77 and China was rejected due to strong opposition from developed countries. On December 11, as the summit was drawing to a close, Pulgar-Vidal instructed the co-chairs in the evening to produce a revised text by 9 pm. He urged the Parties to arrive at a "consensus on the substance of the text, not on commas and full stops". His comments were widely applauded. He roped in lead negotiators of Norway and Singapore to help the Parties reach a consensus. The contact group convened for the third time in the day at around 10:30 pm, with the co-chairs presenting the revised text. But the revised text had no provision for CBDR and was criticised by the developing countries for not being inclusive. As an agreement could not be reached on December 12, the final day, a revised draft text was released just past midnight and the session was suspended. With little hope in sight, it seemed that the climate talks would fall in disarray. On the morning of December 13, developing countries rejected the text, calling it "unbalanced". The COP president was called upon to restore the balance and make sure that the demands of developing countries are met. He assured them that the process will be taken forward "with the spirit of trust". Closed door meetings, consultations and deliberations ensued, as delegates started leaving the venue. Finally, the text, titled "Lima Call to Climate Action", was handed over at 11.30 pm. It included CBDR, but it was to be decided by every country's "national circumstances". It also had INDCs, but they too were to be decided by individual countries. The pre-2020 ambitions found a passing mention. The parties were given about an hour to go through the text. They agreed and the deal was sealed. India is the 13th most vulnerable country to climate change. Since more than 60 per cent of its agriculture is rainfed and it hosts 33 per cent of the world's poor, climate change will have significant impacts on the food and nutritional security of the country. 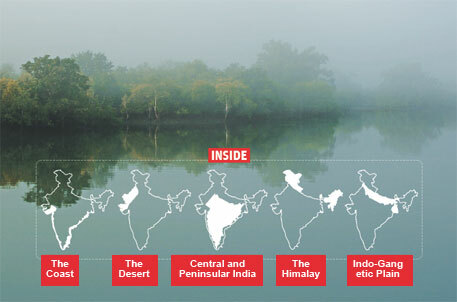 The Centre for Science and Environment recently released a comprehensive book-Rising to the Call: Practices of Good Climate Change Adaptation in India-that maps climate change impacts on various agro-ecological zones in India. The report also documents community initiatives to adapt to climate change.